It’s been three years since we first met Sebastian Castellanos, the protagonist of the survival horror game The Evil Within. Tango Gameworks has been busily developing the sequel during this time, but has the wait been worth it? Time to find out. The same id Tech 5 engine that powered the original runs The Evil Within 2. The odd letterboxing that put off some players has been turned off, but it is available as an option should you wish to play the game in the presentation that the developers actually prefer. Detective Castellanos’ latest adventure is locked to a 30-fps frame rate, which even applies to the PlayStation 4 Pro. Furthermore, HDR is not supported as of this writing. Sony’s more expensive console may afford you a more stable frame rate thanks to its Boost mode, but beyond that there are no optimizations made for the Pro. Sub-60 fps or not, The Evil Within 2 is a visual treat. A gory, bizarre, wonderfully dark treat. While the standard monsters Sebastian faces aren’t particularly frightening, it’s the environments in which he finds them that is impressive. Creepy rooms are a regular occurrence, with oddities dangling from the ceiling, or macabre portraits lining the walls of an old, creaky house. Audio work can make or break a horror game. The first Evil Within featured a perfectly creepy ambiance and jump scares aplenty. The Evil Within 2 continues in that tradition. Every location in the town of Union has plenty of audio cues to alert you to what is going on. Eventually, you’ll learn to differentiate what type of enemy is just around the corner by listening to the moans and gurgling sounds they utter. While inside buildings, you can expect the usual noises: creaking floorboards, swinging chains, writhing horrors the next room over, and many more unsettling noises, especially when all you heard a second ago was your own footsteps. Picking it up? 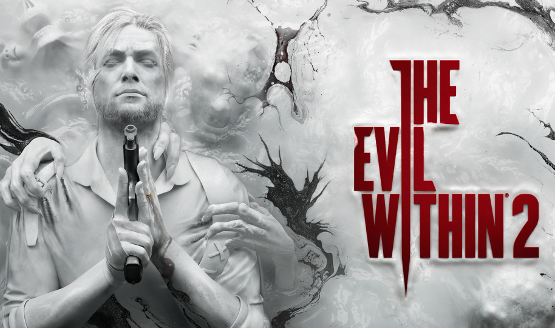 Learn about The Evil Within 2 difficulty settings. The Evil Within 2 represents a departure from the first, in several ways. The most obvious is that the story takes place in the virtual village known as Union. It’s open-world, and Sebastian is free to complete or ignore side tasks as he sees fit. For those who hope to complete the main story and little else, a map clearly indicates where the next major chapter takes place. Naturally, completing side missions serves to lengthen the overall time spent in finishing the game (an average playthrough should clock in at the 12-15 hour mark), but also provides for extra resources to help tackle enemies more efficiently. The village of Union isn’t overwhelmingly large, and it isn’t cramped, either. It is done in the style of a quaint American town (in-game documents mention “Americana,” 3 decades ago). Using an electronic communicator which serves as a sort of radar, the entire town is yours to explore from the outset. There are multiple layers to the town, and some of the buildings are also multi-level. Whenever you’re not on a mission, there is rarely a shortage of things to explore and items to find. Crafting only played a small part in the original The Evil Within, as you could create specialized bolts for Sebastian’s Agony Crossbow, but it is a central mechanic in this sequel. Throughout the adventure, various resources such as gunpowder, fuses, and herbs can be found or picked up from fallen enemies. These can be utilizied to craft more ammunition for the various weapons at Sebastian’s disposal, or the occasional healing item. The original game had a veritable ton of abstract aspects to its story. This could be seen as a weak point by some, but it also provided some of its charm. This time around, full-length cutscenes flesh out a much more coherent story, one that is much more personal to Sebastian. It’ll always been fairly clear what is going on, trippy transitions between areas notwithstanding. Yet, part of the fun of playing through the original multiple times was in trying to figure out what the hell happened in the first place. On the other hand, those who don’t have time to play the same game over and over will likely appreciate the more focused approach by Director John Johanas and team. One surprising change in this sequel involves the difficulty levels. The normal setting, Survival, has been scaled back by a noticeable amount. This is, similar to the more fleshed-out story, likely an appeal to wider audiences. The higher difficulty setting removes the auto-aim option, while also making resources more scarce. Beating the game unlocks New Game Plus, as well as a Classic difficulty level. New Game Plus lets you play through the game with your upgraded equipment and abilities in an effort to get to 100% completion. The Classic difficulty sees the game set to the Nightmare difficulty level, but with a few twists. For starters, there are no auto-saves; dying returns you to the title screen. 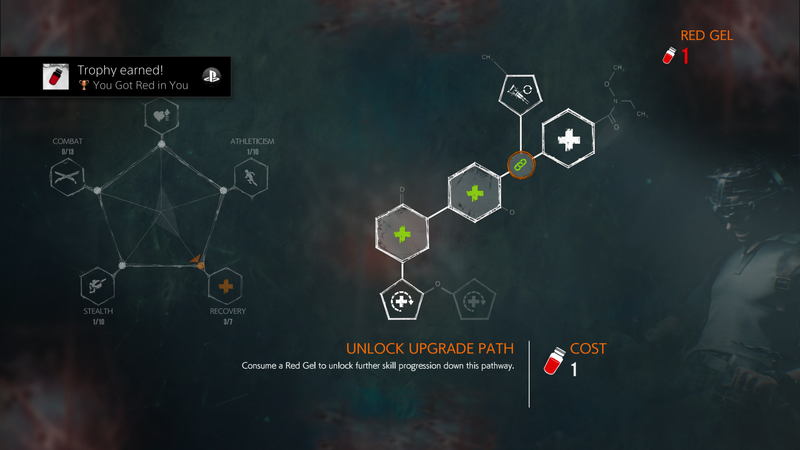 Weapons and abilities are locked to their basic editions, and cannot be upgraded whatsoever. To top things off, you are only allowed to save your game a total of seven times, ensuring that you plan your every move. So, for those who feel the easier Casual and Survival modes are a cop-out, perhaps this Classic mode will please your inner masochist. Combat in The Evil Within 2 feels essentially like in the first game. Sebastian is kind of slow to draw a weapon, and his aiming is sluggish as well. His abilites can be upgraded to have less weapon sway, but the gunplay does take a bit to get used to again. There is a surprisingly fun unlockable area that can help you to hone your skills, while also earning helpful unlocks, which can help acclimate you to the shooting mechanics a lot more quickly than if you were just going through the rest of the game. The Evil Within 2 has arrived just in time for the spookiest holiday of the year. While the difficulty level has been ratcheted down noticeably in the name of accessibility, the harder modes should suffice for those looking for a challenge. Creepy environments are a staple of this series, and there are even a few jump scares thrown in for good measure. A much more focused story will drive you to want to play for “just one more chapter,” while a decent selection of side missions will also keep you occupied for the duration. Still, by incorporating a lot of the more traditional elements of open-world games, such as a regular map, waypoint system, and lengthy cutscenes, the game has lost some of the abstract charm seen in the original. This should not act as a deterrent, however; horror fans have found the best game to play this Halloween. The Evil Within 2 review code provided by publisher. Version 1.01 reviewed on a PS4 Pro. For more information on review scores, please read our Review Policy.